You don’t need to have a degree in marketing to know how important social media is when it comes to promotion. From Instagram feeds and Facebook likes to YouTube plays and Twitter posts, social media is arguably the most important and powerful medium when it comes to building a business or brand. 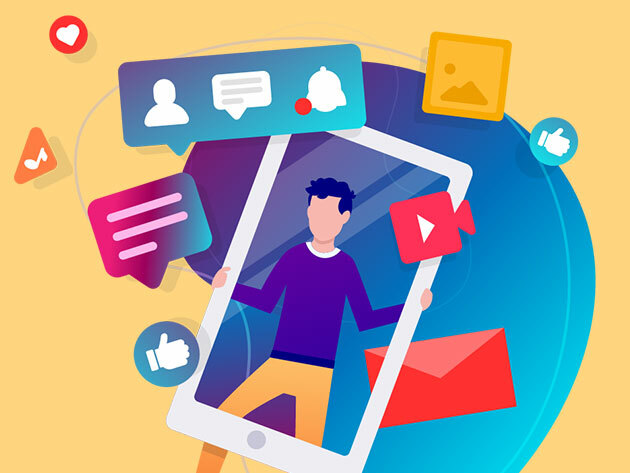 The Social Media Marketing Master Class Bundle will help turn you into a full-fledged digital marketing pro, and right now the entire bundle is available for over 95 percent off at just $29. With 11 courses and over 28 hours of training, this bundle is ideal for both aspiring digital marketing pros and individuals who want to grow their own brand more effectively online. There are modules that introduce you to the more fundamental aspects of online marketing and promotion, along with extensive course content that will teach you how to utilize everything from Facebook and YouTube to Twitter, Instagram, and Yelp in order to efficiently build virtually any brand or business from the ground up. There’s even a course that will teach you about online review management in order to ensure that your company or brand is allowed to build a positive image on the Web. Become a full-fledged online marketing guru with the Social Media Marketing Master Class Bundle for just $29 — over 95 percent off its usual price for a limited time.